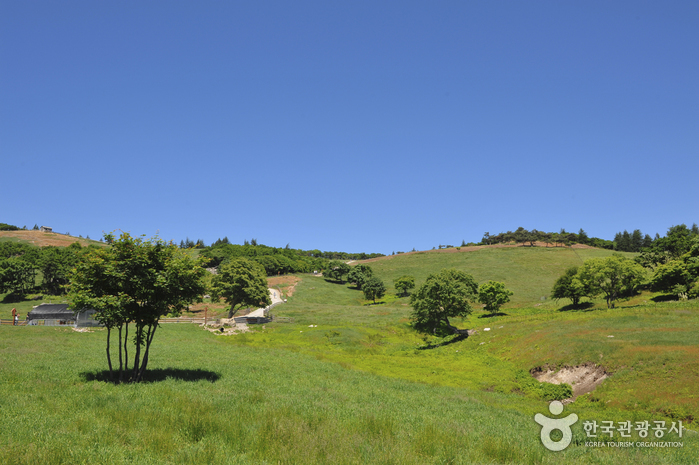 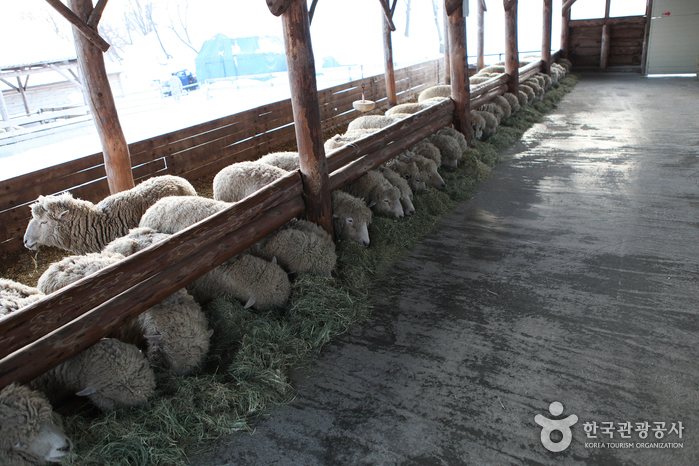 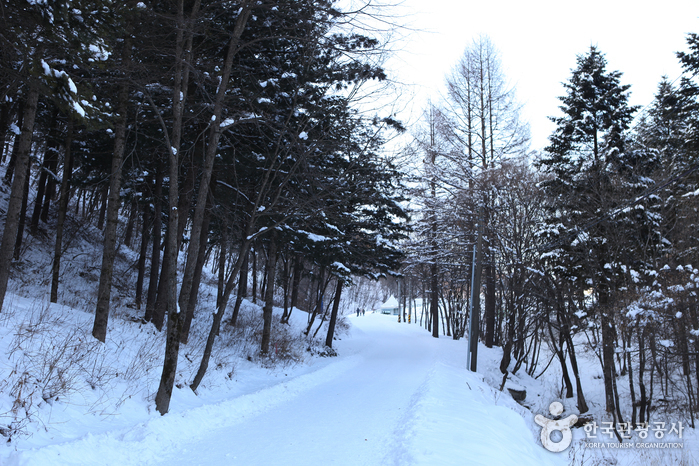 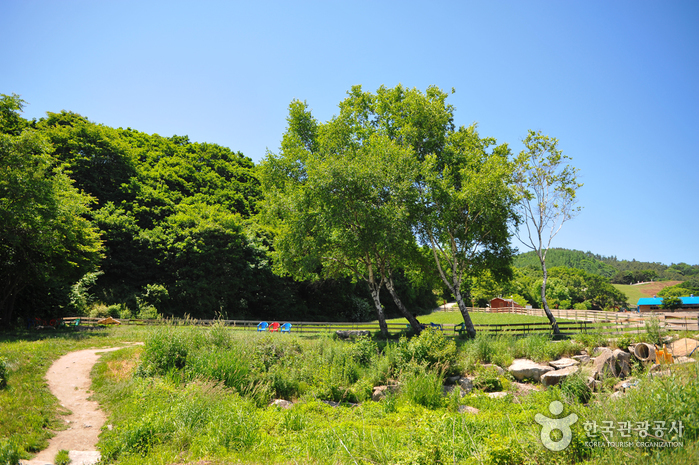 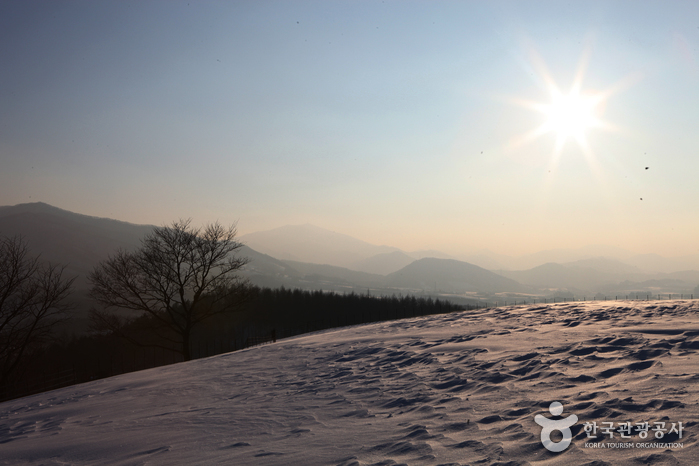 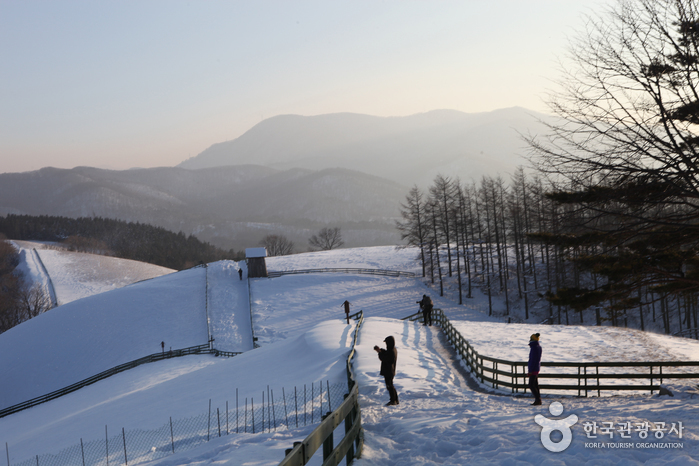 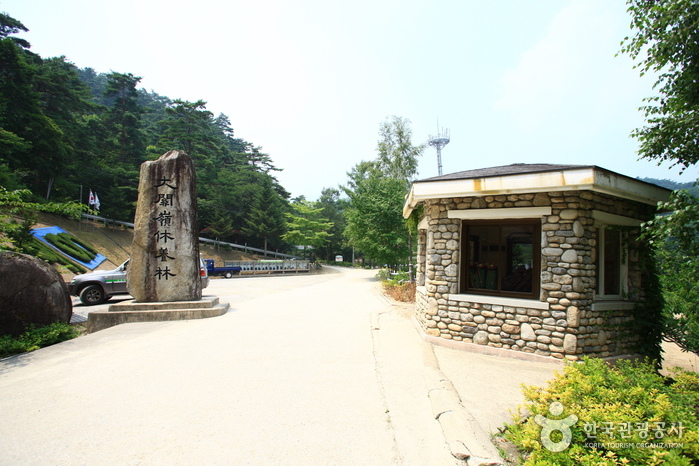 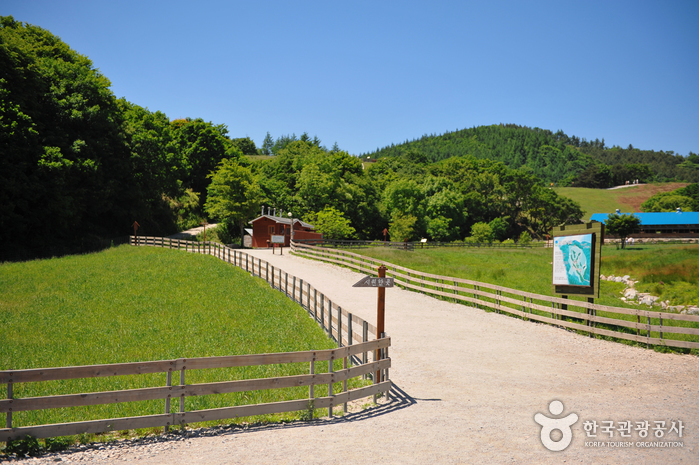 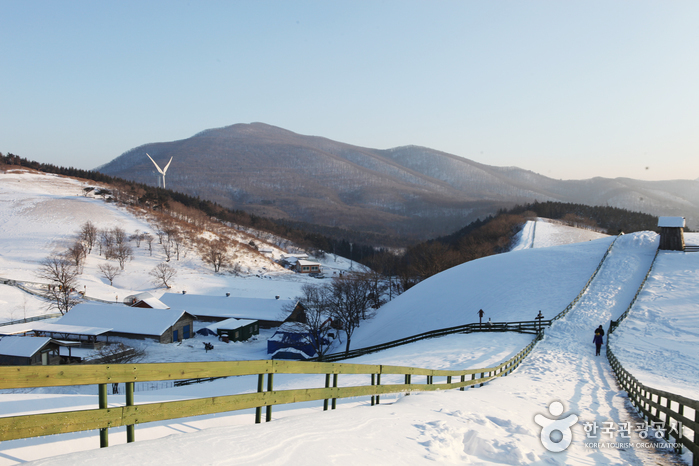 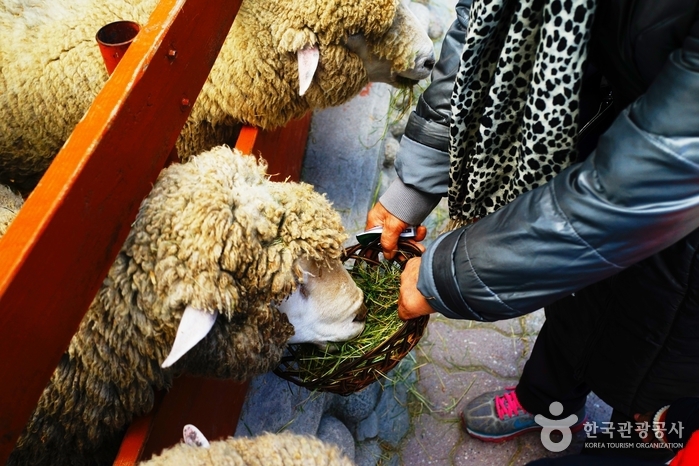 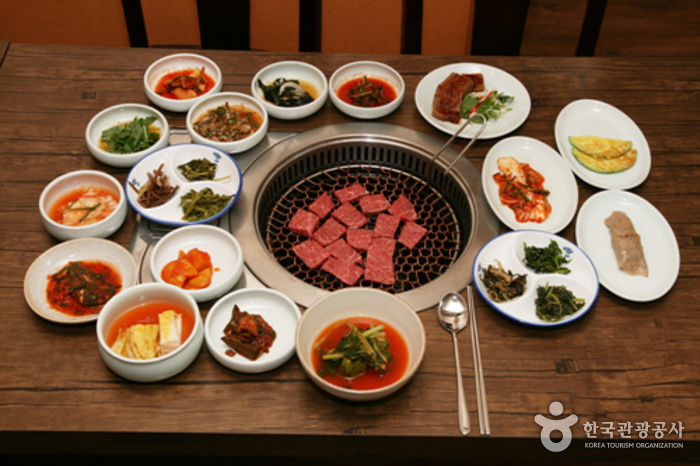 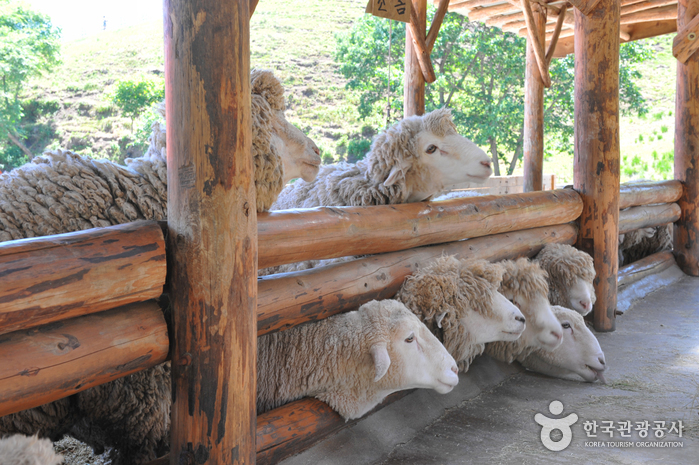 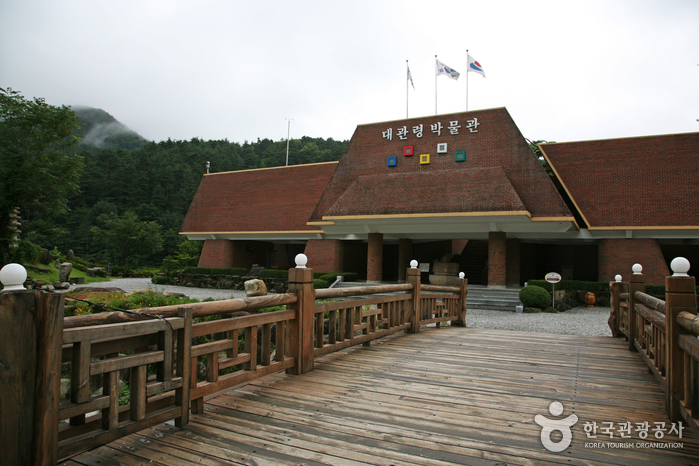 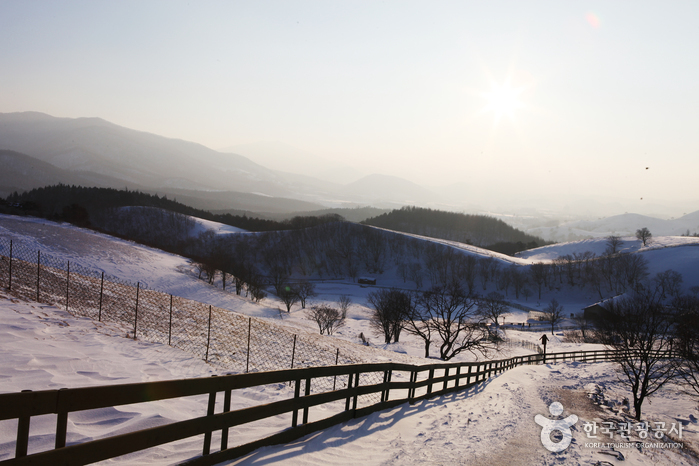 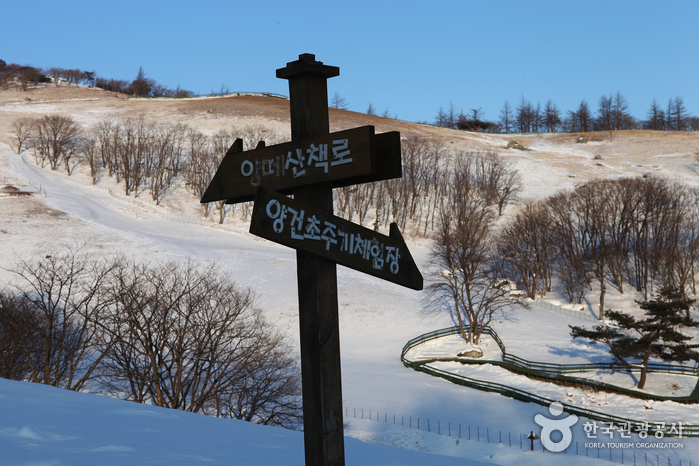 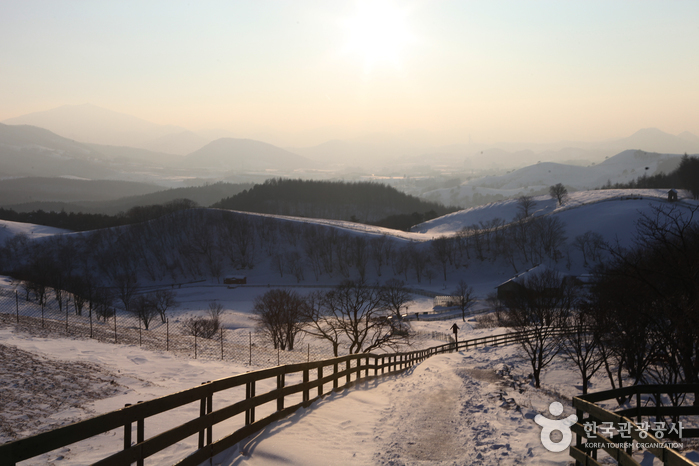 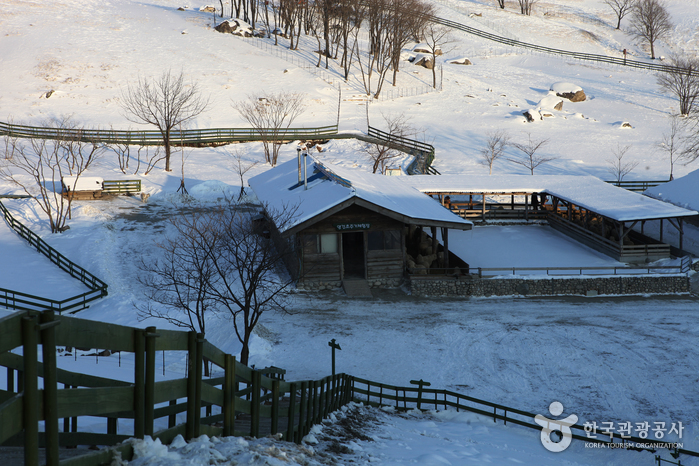 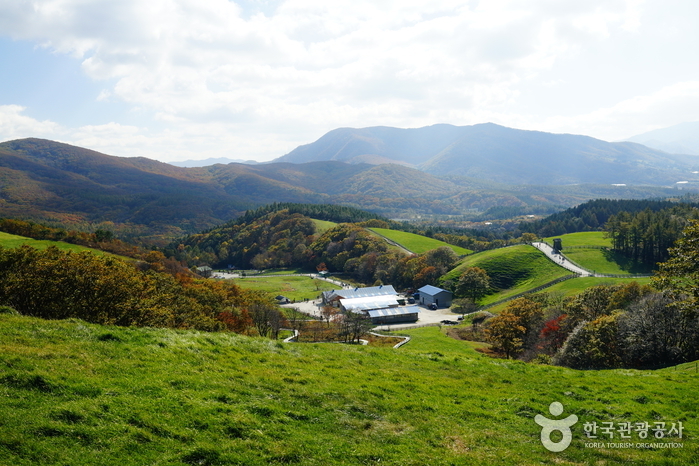 Daegwallyeong Sheep Farm is a privately owned ranch on an area of 195 k㎡. 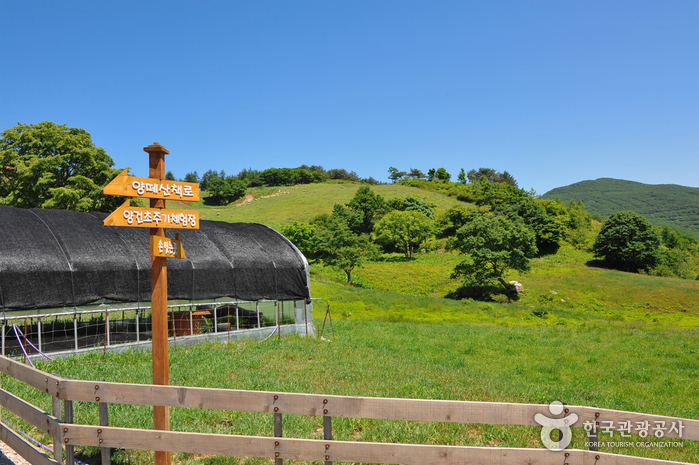 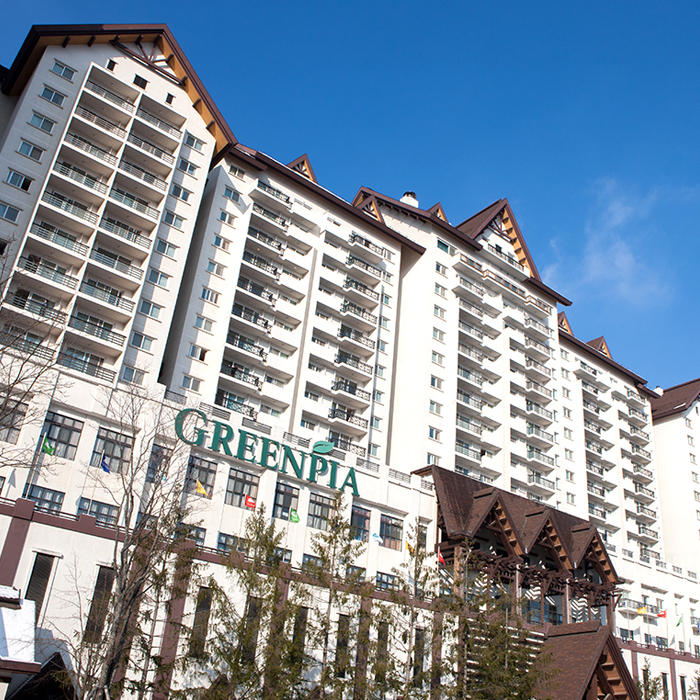 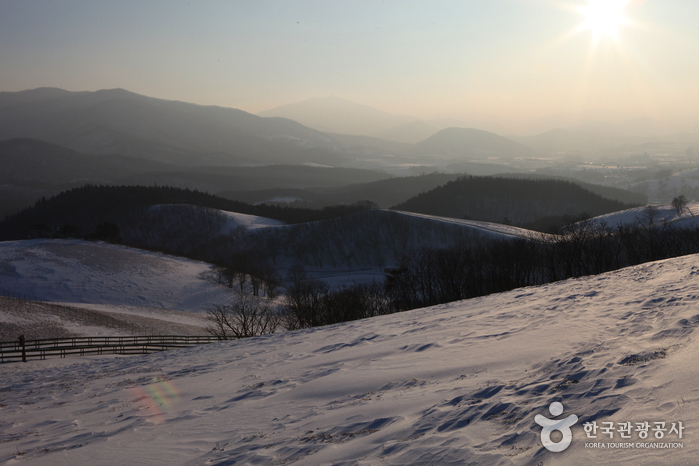 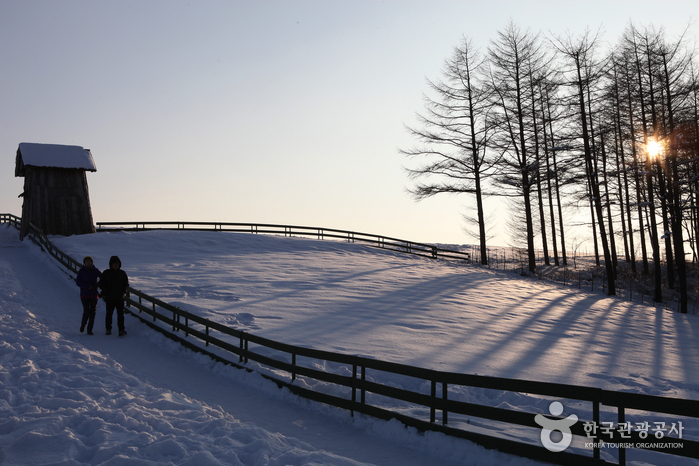 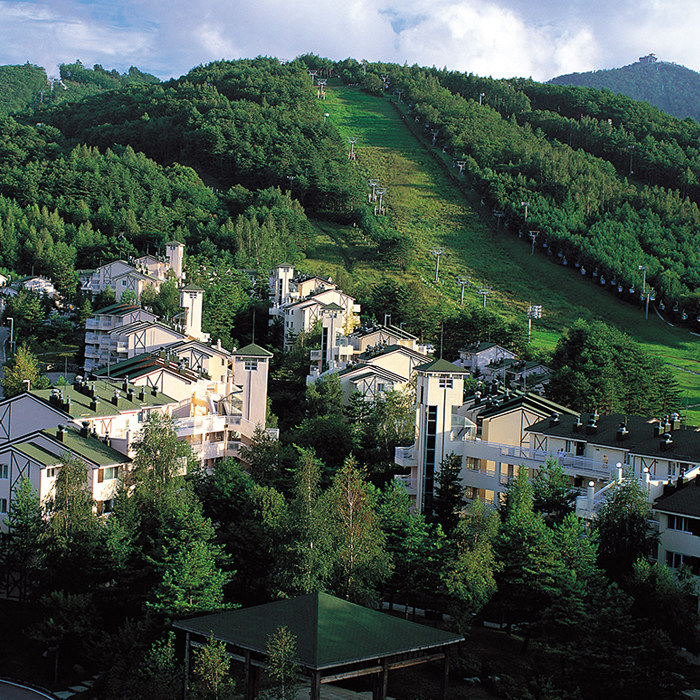 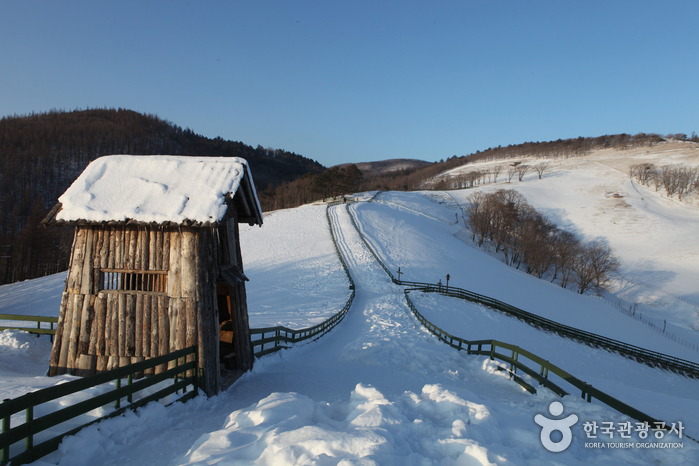 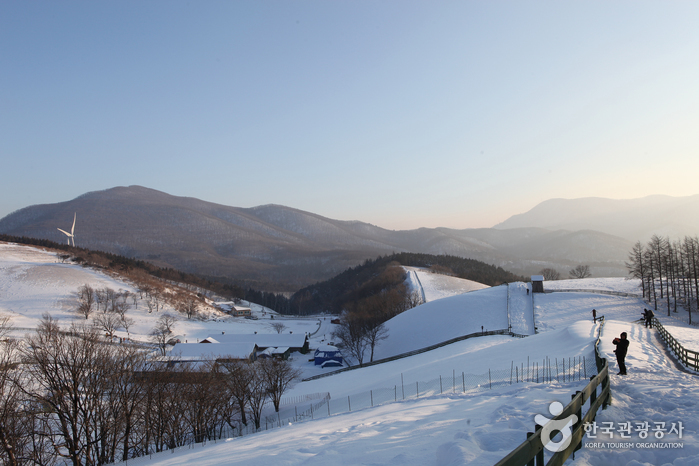 There are many ranches in Pyeongchang, but Daegwallyeong Sheep Farm is the only ranch that raises sheep. 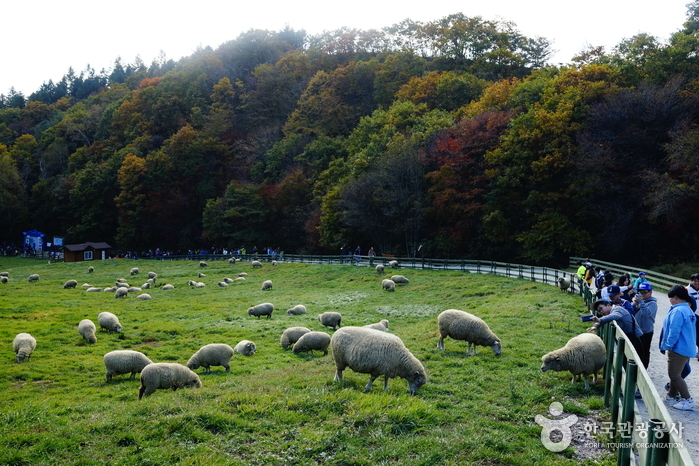 The sheep grazing field is surrounded by a 1.2 meter-long circular walkway, so visitors can view the sheep at all times during their visit. 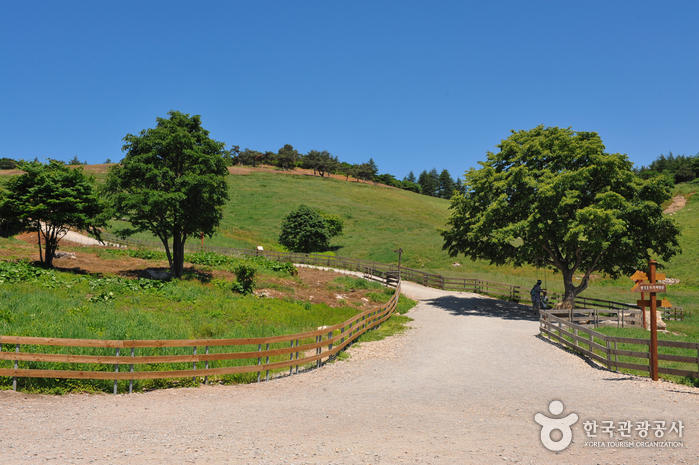 It takes about 40 minutes to walk along this path. 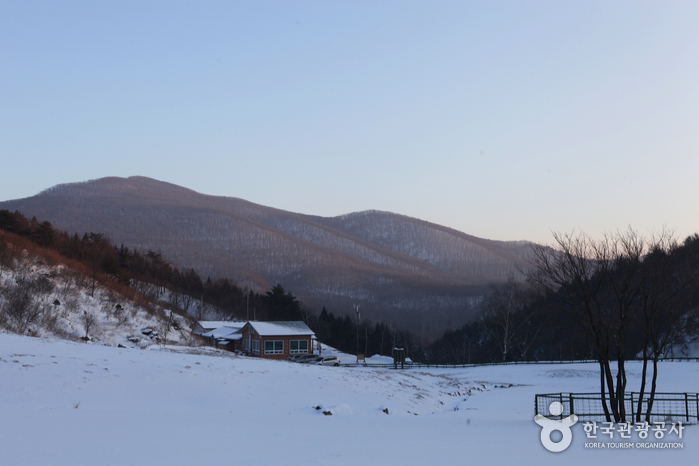 A wooden shack located in the field appeared as a backdrop of the movie "The Man from Mars." 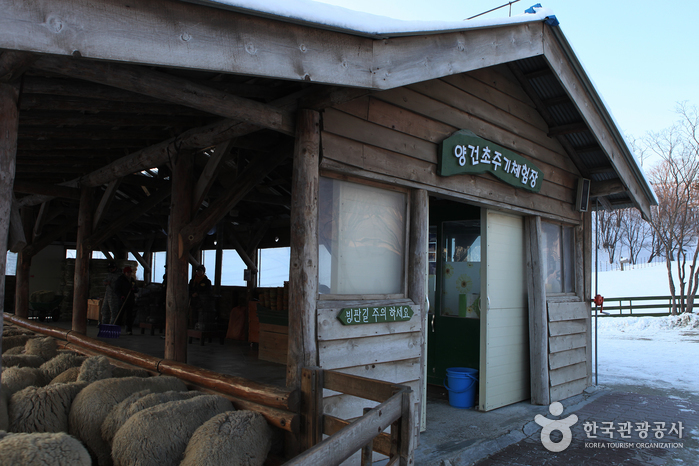 The wooden shack fits perfectly with the sheep farm, and has become a popular photo site. 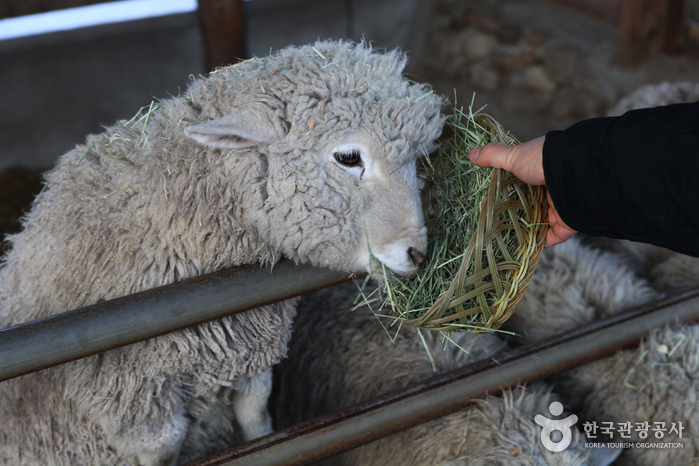 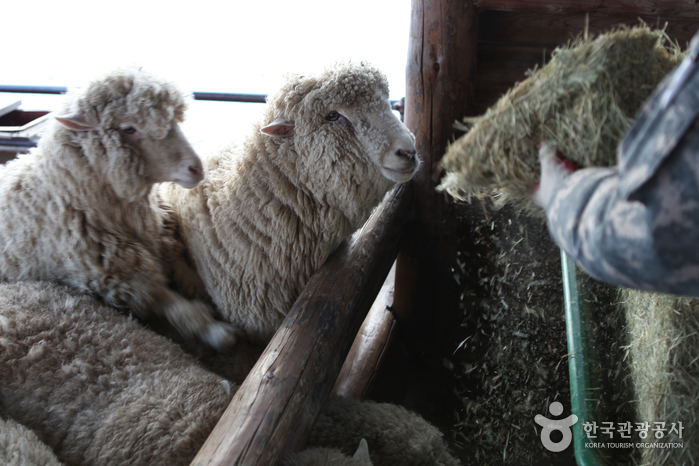 To get a closer experience with the sheep, sign up for the feeding experience, where you can give hay to the sheep and even reach out to touch their fuzzy heads. 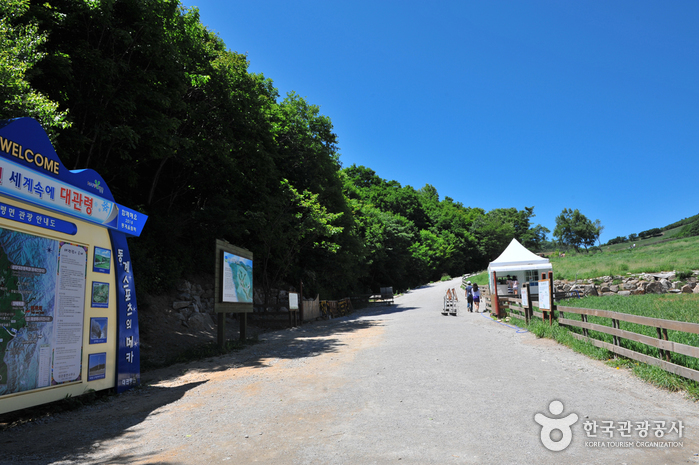 * Last admission is 16:30. 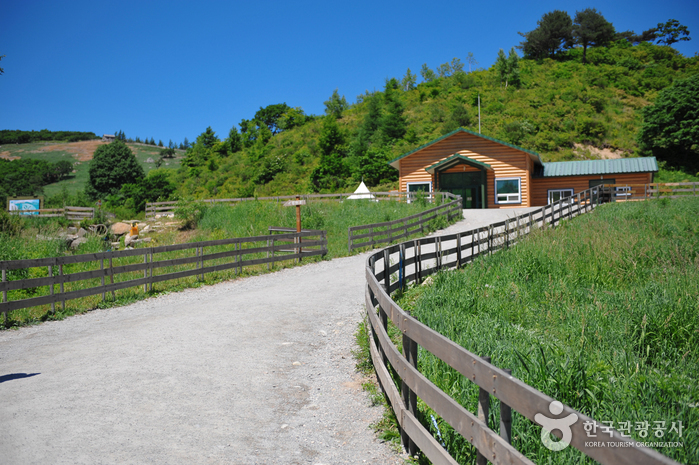 * Hours are subject to change depending on weather or conditions on-site. 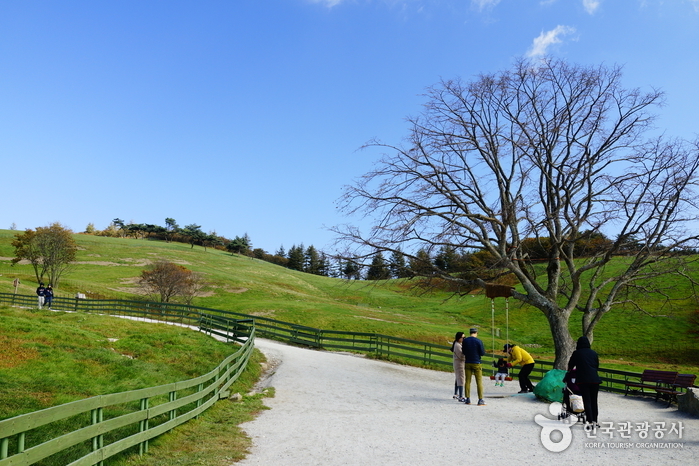 Sheep feeding area, royal azalea field, thached-roof house, marsh, walking trails, rest area, etc. 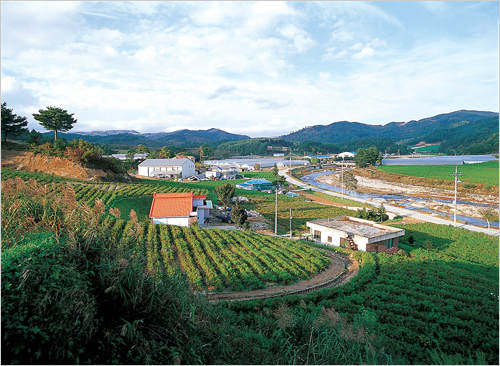 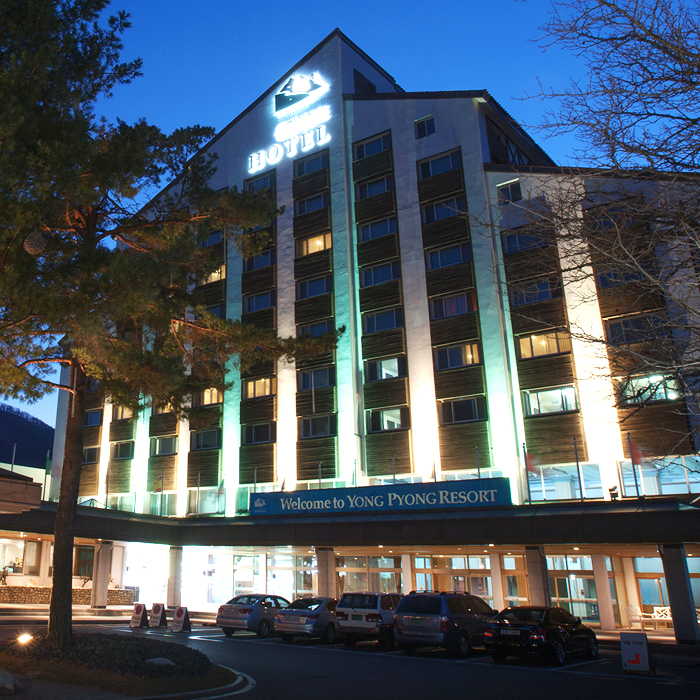 From Dong Seoul Bus Terminal, take an intercity bus to Hoenggye Intercity Bus Terminal. 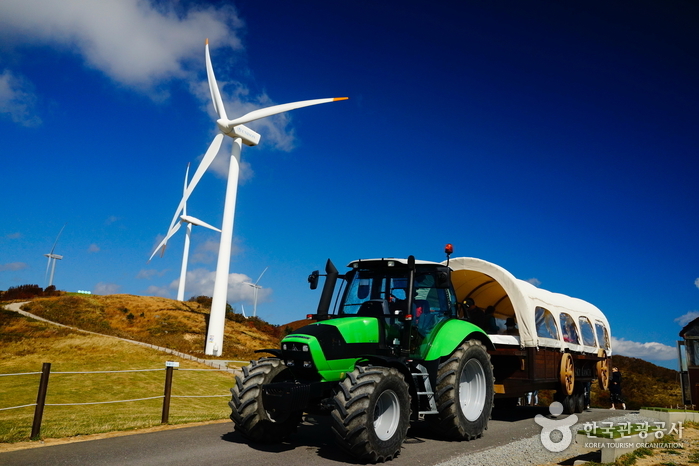 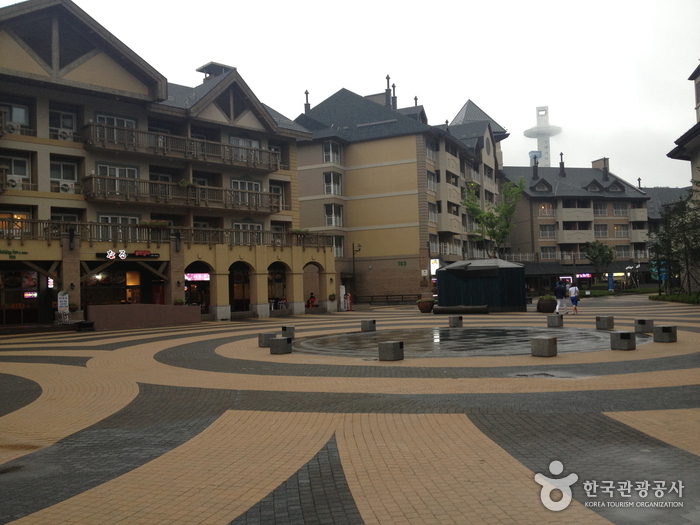 From Hoenggye, take a taxi to the farm.